From goodreads: Katrine MacNamara was defined by two roles–wife and mother. When one of those roles is suddenly stripped from her, she is forced to re-evaluate her place in the world. She needs to get her life back on track, a life of her own. What are the next logical steps, as a newly single 35 year old woman? 1. Put the kibosh on crying sessions in the fetal position. 2. Start using maiden name. 3. Jump start her non-existent career. The last item is the tricky one. She is determined to stand on her own two feet without her ex’s money. But since she has spent the last decade at home raising her son, her moth eaten resume has been collecting dust. When Katrine lands a high profile assignment for the summer. Although short term, the experience would add some much needed prestige to her anemic resume. She is eager to rise to challenge. Little does she know that part of the challenge would be her new boss. During a night full of laughs and margaritas, her friends urge her to get back out into the dating scene. A rebound fling is just what she needs to get her feet wet. Katrine is leery to say the least and is not sure is she is ready. She wonders if a man even fits into her new life. Not to mention the fact that being naked in front of someone new was beyond petrifying. But when a man from the past enters her life and as she grows closer to her new boss, she is forced to re-evaluate the whole fling concept. Does she go for casual or does she commit? Can she even do casual? She always listens to her heart, maybe it was time to start listening to other parts of her anatomy. As she navigates her new single life she has to decide what defines her. And with help from her nutty sister, hilarious friends and plethora of fermented grapes— she just might find that she is willing to forgo lust and even love, if it means compromising her new found identity. I was pleasantly surprised with this book because it was an unexpected treat! It was a nice change of pace for me because I usually favor dark and edgy reads but this was light and funny but with just a pinch of angst. I do think the relationship of Xander and Katrine started off too quickly and it felt a little insta-love when there should have been more push and pull between them. Their attraction starts off in the workplace and as it progresses, there’s a lot of PDA happening in the office. I’m all about fiction and suspending my disbelief but that setting should have allowed for the thrill of the chase. Those were the only two concerns I had about the story, the rest I absolutely enjoyed!! What makes this such a refreshing read is that it’s about a woman who is starting over. She’s not a freshman in college. She’s over 30 who is a divorcée with a son and she’s testing the waters with Xander and it’s a huge gamble because she’s also entering the workforce again. Not to mention he’s her boss, yes it’s a little predictable but just go with it. Katrine is surrounded by a wonderful group of friends and that includes her sister. Some of the best dialogue comes from them spending time together and it felt so real, because those are the same exact conversations I’ve had with my girlfriends. It was during those moments I was snorting with laughter and I was completely lost in the story. I thought the ending was absolutely perfect which made this read such a fantastic surprise because in life nothing is perfect and no one recovers from being hurt overnight. What you can expect from this book is really good writing and a fluid story. 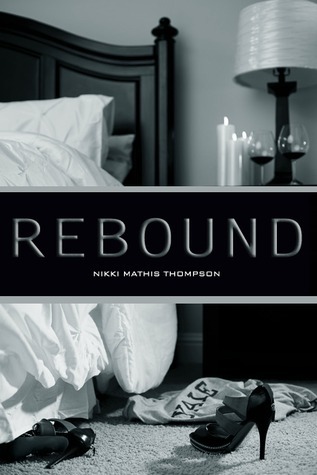 This is Nikki Mathis Thompson’s debut novel and I can’t wait to see what’s in store for us next!